Sunny Cuddles will make you smile! He is an incredibly adorable and cute mocha brown Giant Teddy brand bear, with a big soft head and body just perfect for cuddling. Sunny has the most amazing, soft, cuddly fur you’ve ever felt, and you’ll fall in love with his sweet teddy bear face. He has big brown eyes, a soft velvety black nose, and comes wearing a detachable brown and white checked scarf. 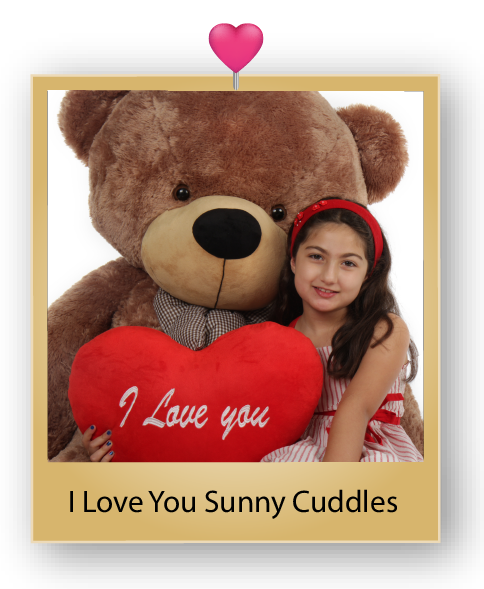 Sunny Cuddles will make the gift of a lifetime for someone very special in your life!